In most photographs of general subject matter, your eye sees the darkest neutral (gray) tone as black and the lightest neutral as white. (If the darkest color is obviously purple and the lightest a bright yellow, you probably wouldn't classify the photo's subject as "general.") In a given image, the shadow under the shoe might be just a dark gray, and the shirt looks like it might need some bleach, but your eye (in cooperation with your mind) compensates to some degree and lets you see black and white. For a more accurate look at the tonal range of your image, Photoshop offers the Histogram palette (found nested with the Navigator and Info palettes in the upper-right corner of your screen), which displays the distribution of the pixels in your image at various luminosity values. The darker pixels (shadows) are stacked at the left end, the lighter pixels (highlights) are stacked at the right end, and the rest of the brightness values (midtones) are stacked between. The taller a column in the histogram, the more pixels at that luminosity value. Figure 5-3 shows an image with what some folks would call a near-perfect histogram distribution because of the beautiful bell curve centered in the graph. Figure 5-3: This image has a very even distribution of pixels through the midtones. But don't be seduced by a histogram distribution! Not every properly exposed image has such a bell curve. Many perfect images have wildly different histograms. 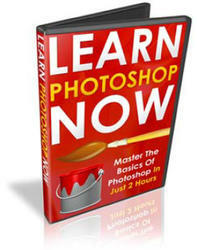 The correct distribution in the histogram depends on two things: the image content and the artistic aims of the artist. Consider, if you will, an image that consists primarily of white pixels, perhaps a beautiful Alpine snow scene or an ugly creepy-crawly thing on porcelain (as you can see in Figure 5-4). 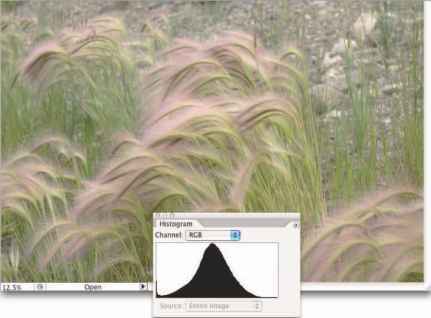 Either image has a histogram skewed dramatically to the right — what you call a high-key image. 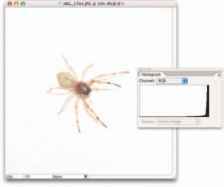 Nothing is wrong with the image (despite the histogram); it just happens to have a huge number of light-colored pixels. Likewise, a low-key image has a preponderance of dark pixels, which skews the histogram to the left. Just about any night scene has a very large number of very dark pixels, pulling the distribution to the left in the histogram. But many night scenes also include lights, which produce a spike at the far right end. 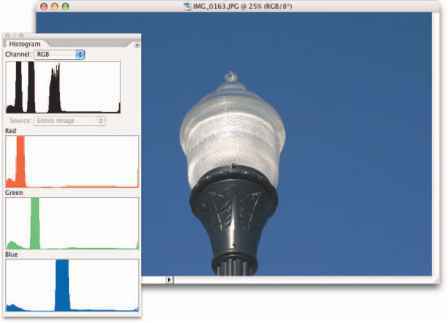 Figure 5-4: The histogram is skewed because of the many white pixels. Or maybe it's running away. Keep in mind, too, that the heights of the individual columns in the histogram area are relative: The tallest goes all the way to the top of the box, and the others are scaled accordingly. For example, an image on a black background — say, a large black background — might have so many pixels in the left-most column that the other columns in the image appear tiny and almost unreadable, like the histogram shown in Figure 5-5. Figure 5-5: Too many pixels in the left-most column make the distribution for the midtones hard to see. Sometimes a histogram seems to tell you absolutely nothing worthwhile. For example, take the histogram in Figure 5-6. The image doesn't have a bell curve distribution, with a gentle sloping to either side of the center peak. It's not a high-key image because the pixels aren't mashed together at the right. The image is somewhat low-key, but the histogram doesn't have a huge stack at the left end. It does tell you, however, that there are three distinct ranges of tonality in which you find most of the image's pixels. Figure 5-6: The histogram sometimes speaks to you in riddles. When you click the triangle in the upper-right corner of the Histogram palette, you can change the palette's configuration. (So far in this chapter, I show the Expanded View, which offers a little better look at the graph than does the Compact View.) In this case, switching to the All Channels View, which shows you a histogram for each color channel, helps solve The Mystery of the Wacky Histogram (especially when seen with the image itself, as shown in Figure 5-7). The image contains a large number of pixels of a rather consistent color. If you mixed that color in the kitchen, the recipe would call for one part red, two parts green, and four parts blue. Figure 5-7: The All Channels View shows individual histograms for each color channel. As you read later in this chapter in the section "Level-headed you!," you can use the histogram to help avoid degrading your image while making adjustments, and (as you read in Chapter 7) it's very important for working with the Camera Raw plug-in. 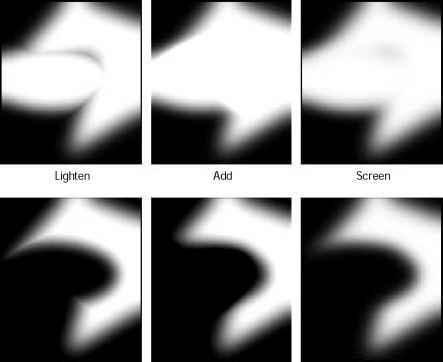 But don't forget about your eyeballs — you don't need the Histogram palette to spot a low-key or high-key image.